Many injured athletes chose to use acupuncture for relief. Whether it is the weekend warrior, the cross fit athlete or professional athlete, there is one thing in common when it comes to utilizing acupuncture as part of their training, and that is quicker recovery and prevention of injuries. 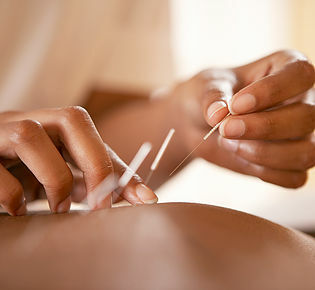 Acupuncture is one of the quickest ways to restore muscle balance. When acupuncture is used at specific sites, the muscle spindles are reset, and then that balance is reawakened. Acupuncture has seen a tremendous acceptance in the United States over the past 20 years. Many of the world’s leading athletes consider it the go-to medicine to repair current injuries, for quicker recovery as well as prevention of future injuries. A 2008 study in the Journal of Alternative and Complementary Medicinediscovered that participants who received acupuncture for muscle soreness 24 and 48 hours after they exercised to exhaustion reported significantly less pain than those who did not receive the treatment. In addition, acupuncture can naturally boost athlete’s energy levels, aid in post-workout recovery, and improve overall performance levels. Athletes who incorporate acupuncture as part of their regular training regimens notice better results and fewer injuries. Acupuncture has also been shown to increase the flow of Adenosine to injured tissues where its natural stimulant effects increase the rate of tissue repair and aid in healing. Advanced Healthcare Solutionsis an elite facility that can assess and address systemic weaknesses and injuries in the body. The Clinicians of Advanced Healthcare Solutions have been trained by the best doctors and leaders of Alternative/Functional and Sports medicine to deliver health care where the goal is fast results. The Medicine that is practiced at AHS ranks highly with all the patients that are treated. With 25 years of experience and over 130,000 patients treated the results are astounding. The reason the medicine works so well is that the underlying cause of the injury or ailment is corrected. The health of the organs are improved and as a result the communication between the organs and the nervous system can strengthen and then healing can occur much more quickly. In addition, the circulation of the body’s anti-inflammatories and hormones move about seeking areas to heal. This style of medicine is literally the premier form of healing in that it improves performance, maximizes strength gains, reduces recovery and injuries and limits the wear and tear of the body while allowing the maximum absorption of nutrients for maintaining the peak levels while training. Many of our patients tell us that it helps them to increase their concentration level when on and off the playing field as well. Acupuncture is a powerful preventative and pro-performance therapy that will benefit all aspects of any athlete’s health and wellbeing. We invite you into visit our office and see how Advanced Healthcare Solutions is advancing healthcare by providing solutions that work. Call us today for your Free Consultation and Treatment Evaluation.